There’s only one month left to submit an application for WSD2017. Below you can find answers to some frequently asked questions about the WSD2017 Exhibition Submission and Call for Performance of WSD2017 Scenofest. If you don't find answers to your questions on this page, please feel free to contact us. We kindly remind you that the submission deadline is September 26th 2016 (17:00, UTC+8:00). 1. What is the difference between Performance Design and Space Design in WSD2017 Exhibition? Performance Design formally referred to as Scenography. This category will look at designers who cross several disciplines such as lighting and set, set and costume, etc. Space Design refers to designs for performance spaces outside of what might be perceived as “standard” scenic/set designs. 2. What kind of designs would be classified into Alternative Design? If you do not see your works fitting into the 7 listed categories (Performance Design, Space Design, Set Design, Lighting Design, Costume Design, Sound Design, Projection and Multimedia Design), you are welcome to submit your works to Alternative Design. Alternative Design may include but not limited to Technical Design, Make-up Design, Puppetry Design, Theatre Architecture Design, etc. 3. If my design will be realized after September 2016 but still in 2016, could I submit this design to the WSD2017 Exhibition? Designs submitted to the WSD2017 Exhibition must be realized between September 2012 and September 2016. Projects realized after September 2016 are qualified for submission of the next WSD exhibition in 2021. 4. Would it be possible for several designers to submit one production to different design categories in one entry? 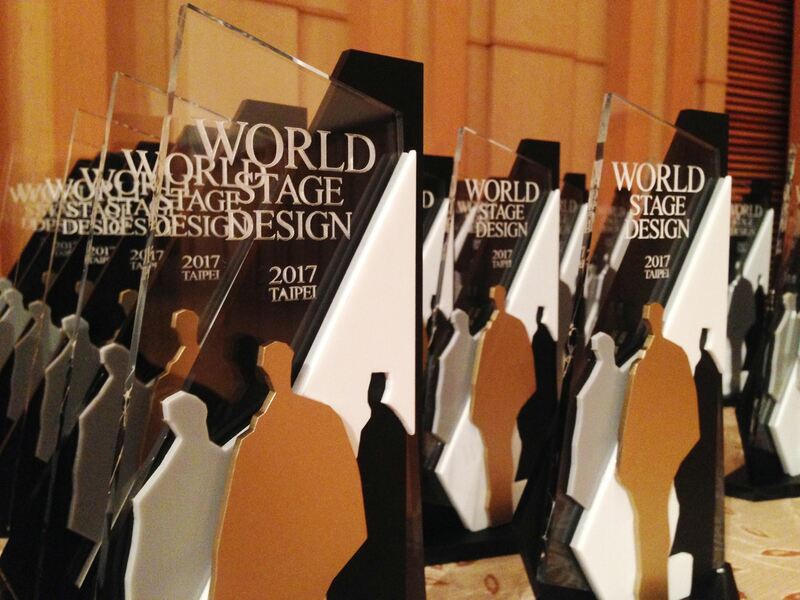 The WSD2017 Exhibition is for individual designers in order to honor outstanding designers in their professional fields. Each entry is for one designer and one production. a. Julie (lighting designer) and Juliet (costume designer) both would like to submit Production A as their work, can they do that in one entry? No, Julie and Juliet will need to submit separately in two entries. b. Julie designs lighting and set for Production A, can she submit to lighting design and set design with one entry? Yes, Julie will need to check “lighting design” and “set design” on the application form. c. Juliet and Emily co-design the costume of Production A. How should they submit? One of them should be listed as lead designer and the other as co-designer. 5. How many designs could I submit as an individual designer? There is no limit on the number of designs a designer can submit. Be sure that ALL submitted designs must be realized between September 2012 and September 2016, and each entry will be charged for one submission fee. 6. 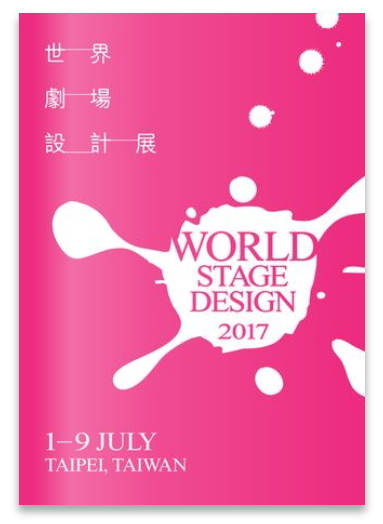 Since the organizer of WSD2017 is based in Taiwan and I am a Chinese user, can I submit in Chinese? Please submit your WSD2017 applications in English. WSD2017 is an international event and the juries are from different countries. English will be the communicating language in WSD2017. 7. I was a student before September 2014, but my design was realized in March 2015. Could I still submit to the Emerging Designer section? Sure you could! If you were student at some time between September 2012 and September 2016, and your design was realized between September 2012 and September 2016. You could submit to the Emerging Designer section. 8. What documentation should I provide to prove I am qualified as Emerging Designer? 9. How could I pay the submission fee? After complete your application form and click “submit”, the page will lead you to ECPay/allPay system where you will be able to pay the submission fee by credit card. Please note that we only accept credit card payment through ECPay/allPay system. Be sure to have a valid credit card at hand. 10. If my payment failed, what should I do? First, please check if your credit card is valid, then contact your bank. If you still can’t submit payment via ECPay/allPay system, please send the screenshot by email to info@wsd2017.com for trouble shooting. 11. Could I get a receipt of the submission fee? Please send an email to info@wsd2017.com with title & name of the recipient and billing address. We will send the receipt to you. 12. I would like to submit a new piece of performance for WSD2017 Scenofest. However, the performance will be premiered after September 15, 2016. Could I submit? Yes. Please submit an introduction of your work(s) and related images for the selecting process of WSD2017 Executive Committee. 13. Will performances and workshops of WSD2017 Scenofest be ticketed? Who will get the ticket sale income? Most Scenofest events will be ticketed. Each ticket is about 10 US dollars while some events are free of charge. Ticket income will be used to cover the overall costs of the festival. 14. Will WSD2017 Scenofest provide flight tickets and other costs for performer/performing groups? WSD is a platform for global theatre communities and we appreciate designers and performers who contribute their passion and energy to WSD2017. Although we could not provide flight tickets, we will provide accommodations and technical support during WSD2017. Next News WSD2017 Exhibition finalists announced!